AutoCAD and AutoCAD Architecture can export to Piranesi using our lisp routine. Piranesi 6 Pro or Piranesi 2010 (v6.0.1) must be installed. 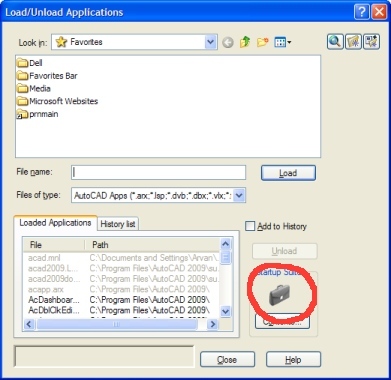 For AutoCAD Architecture 2015, store the file in a "trusted location" to avoid a warning when starting AutoCAD. See the Autodesk Knowledge Network for details. The current view will be rendered using the "Presentation" rendering preset, converted to an EPix file and opened in a new Piranesi session. install our SketchUp Plugin then save your model to Piranesi EPix file. If you have AutoCAD 2008 or earlier, Vedute can convert your DWG files to EPix (Vedute is included with Piranesi). Vedute can also convert 3DS to EPix. 3DS output was withdrawn at AutoCAD 2007 but Autodesk provide a 3DSOUT utility for 2007 and 2008 versions at AutoCAD Services & Support. For plan and elevation working, you can use File > Plot > publishtowebPNG to generate a PNG raster file. Then in Piranesi, use File > New > Create an EPix file from an image file. DWG is the native file format for Autodesk's Autocad software. DWG and AutoCAD are trademarks of Autodesk, Inc. SketchUp is a trademark of Trimble Navigation Limited.